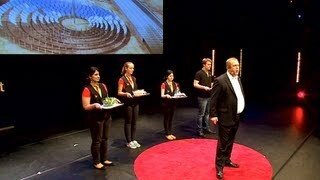 CEO Joakim Hauge shared the story about The Sahara Forest Project with 900 participants at Tedx Maastricht 2013 and with thousands on social media. Sahara Forest Project is featured by the Dutch public broadcaster VPRO TV. In the weekly news documentary series ‘Backlight’ the Sahara Forest Project is an example of how technology can provide basic needs such as energy, clean drinking water and food for the growing world population. Five months after the barley was sown, the crop was harvested. The barley was grown on the sandy soil at the pilot facility, located in the Qatari desert. The harvesting was done in a traditional way at small scale farms by workers who are farmers back home and have plenty of experience. The first fully operational Sahara Forest Project Pilot Plant is built in Qatar in cooperation with the leading fertilizer companies Yara and Qafco. Sahara Forest Project is a new environmental solution to produce food, water and energy in desert areas. It is designed to utilize what we have enough of to produce what we need more of, using deserts, saltwater and CO2 to produce food, water and clean energy. In the presence of HRH Crown Prince Haakon of Norway and the Jordanian Minister of Environment, HE Yaseen Khayyat, The Sahara Forest Project presented for the first time the results of their feasibility studies for Jordan. The seminar arranged by The Sahara Forest Project and The Norwegian Embassy to Amman brought together a wide range of international and Jordanian delegates from academia, industry, governments and organizations.